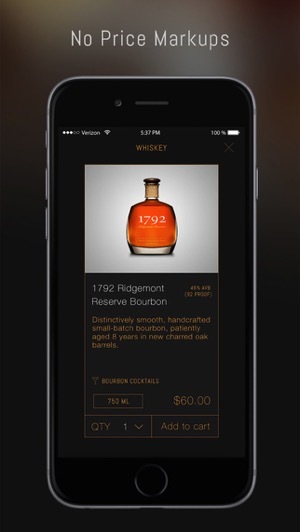 New York-based Thirstie has launched its mobile-first alcohol delivery service in Canada, debuting today in Toronto and Ottawa, with “service to other Ontario cities coming soon,” says the company, which claims it’s the first mobile alcohol delivery service in the country. The service first launch last February in New York City and today is debuting for Android, with iOS support coming this week (updated). 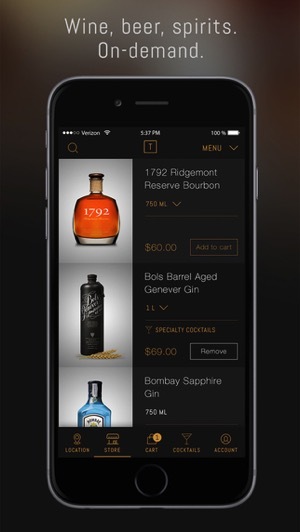 Customers just search through the app to see what’s available, add items to cart and your booze should be delivered “in one hour or less” along with a “small convenience fee” (Update: Thirstie’s co-founder, Maxim Razmakhin, emailed to clarify “The delivery fee is $9 in Toronto and $8 in Ottawa.”), all done via the company’s iOS app. Thirstie says since November of 2014, they have seen 34% month-over-month customer growth and hit 20 markets, with Ontario being the latest. Average orders are usually around $75 or so, while their app currently gets over 25,000 downloads, available for iOS and Android. Click here to download Thirstie for iPhone in the App Store–support for iOS users is coming this week. Let us know if you’re going to try this!